Sukkōt is one of most prominent and most celebrated Jewish festivals of the year. It is a biblical holiday for our Jewish brothers. Following the more solemn Day of Atonement or Yom Kippur, Sukkōt is the time to rejoice. It is celebrated for seven days, as a traditional way to remember the trials and hardships the Jews brothers went through to escape the slavery they suffered in Egypt. Their arduous journey through the desert from Egypt to Israel took over 40 years. They traveled and braved the harsh desert environment without any real shelter or a sturdy roof above their heads. By some miracle, there would always be clouds in the sky, which provided them temporary shelter from the unforgiving heat of the sun in the desert. Jewish ancestors referred to the cloud cover as clouds of glory. And their belief in God Almighty is so strong and they relied on that belief. Manna rained from the heavens, providing them with food until they reached their destination. Sukkōt, the plural of sukkah, is the Hebrew word for booth or tabernacle. These are temporary and flimsy dwellings that the Israelites constructed as their shelter during their exodus in the desert. These simple booths provided them a place to stay, sleep and eat while taking a brief rest from their trek. The festival of Sukkōt has agricultural origins. The Biblical name is The Feast of the Ingathering celebrated during the festival observed in the seventh month, when the labor in the field ceases. It was during this time that state ceremonies were conducted. During the time of Moses, he instructed the Israelites to gather together every seventh year to listen to the reading the Law. Other celebrations that revolved around the observance of Sukkōt were the dedication of the Temple of Jerusalem by King Solomon and the commemoration of their freedom from Babylonian captivity, where Sukkōt was the first sacred event they observed. A sukkah could be made from different materials, as long as the material fits the category of a temporary dwelling place. It could be an outdoor hut covered with leaves or plants. However, since this is a Jewish tradition, there are stringent guidelines to be followed. This includes the location it should be built and the process by which it would be constructed. All these contribute to its being kosher, which in the Jewish sense means fit for use. A sukkah must be built outdoors and should be easily accessible from your place of residence or work. Some of the most common sukkah locations are rooftops, porches, lawns, balconies, courtyards, gardens and other options. Basically, it is considered compliant as long as the “booths” are constructed under an open sky. There should be nothing between you and the sky – no foliage or tents to cover the booth. The walls could be made from any type of material and could be freestanding or built beside the exterior wall of the house or a porch. It should have at least two full walls while a partial third wall should be at least 3.2 inches wide. Some sukkōt have four complete walls and this is also allowed for the purpose of the celebrations. Walls should have a minimum height of 32 inches, but the entire booth should never be more than 30 feet high. The minimum length and width should not be less than 22.4 inches by 22.4 inches. As to maximum width allowed, there is no limit since large families are allowed to share one sukkah. The roof of the sukkah should be covered with sechach – these are raw and unfinished vegetable materials such as bamboo poles, special mats, evergreen branches, reeds, corn stalks or narrow strips of unfinished lumber with measurements of 1×1 inch or 1×2 inches. Living branches or trellises cannot be used as a covering because it should already be detached from a living source. 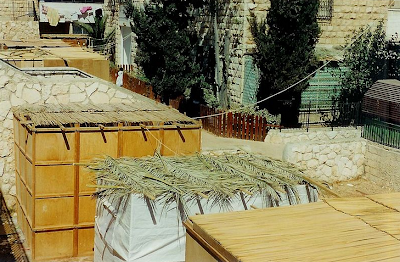 The roof or covering of your sukkah should be able to provide shade from the harsh noonday sun. It should also be spread out to cover as much area of the booth as possible, and there should be no gap on the roof measuring wider than 9.6 inches. Additionally, it is also a requirement that a new sukkah roof or covering be made every year. The structure itself can be recycled from year to year but the covering, which is what the festival is all about, should be new. The requirement for the observance of sukkōt is that people dwell inside the sukkah for the days of the festival so it is a must to decorate the booth with even the barest of necessities. Chairs and tables as well as dining ware must be placed in order to be able to take you meals there (they don't necessarily have to be prepared inside the sukkot, just consumed there). It is also a common practice to invite guests inside your sukkah and ask them to share a meal with you. 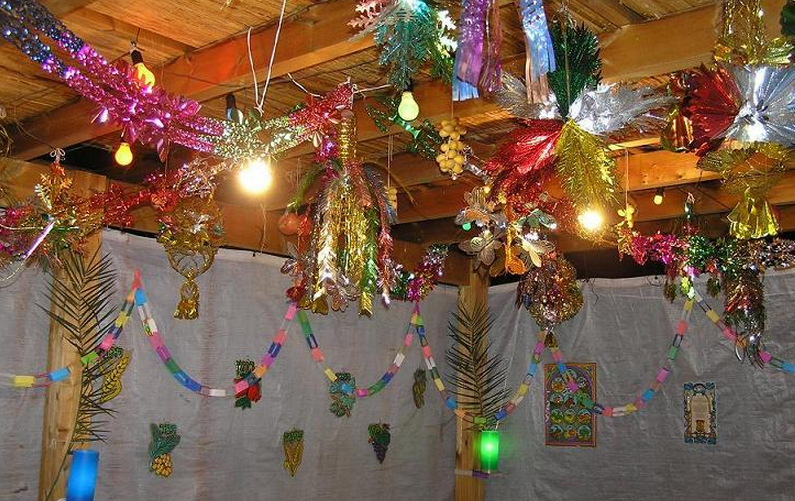 Decorating the inside of the sukkah with vegetables and drawings done by children are allowed and encouraged. Sukkōt is the last of three Jewish pilgrimage festivals and has a dual significance similar to that of Passover and Shavu'ot. In Jewish history, the festival of Sukkōt came into being as a memorial for the 40-year period in which the Israelites wandered in the desert, with only temporary shelters that was also called sukkōt. The other meaning for the festival is similar to the Thanksgiving celebrations of the Western cultures – a festival of gratitude for a bountiful harvest of fruits, grains and vegetables. While sukkot literally mean booths or tabernacles, in the context of its celebration, Jews are required to dwell or live inside a temporary shelter or sukkah that they themselves built. The requirements in building the sukkah are very strict and must be followed to the letter; not doing so would be considered a religious offense. The festivities last for seven days, with the first two being considered holy days wherein no work or commerce is allowed. Jewish people could go back to work the rest of the remaining days, which is called Chol Hamoed, which translates to “intermediate days” in Hebrew. During the rest of the days in observance of the festival, women and younger girls light candles nightly and recite the proper blessings before sharing the meal with their family. However, they should eat their meals inside the sukkah or opt to sleep inside during the duration of the festival. Every day, they should also recite a blessing over the egrog and the lulav or the Four Kinds. The items that are blessed are very specific. The Rabbinic Jews use three types of branches and one fruit for this. For the egrog, the citron fruit is used. The three special branches include two aravah, which are the leafy branches of the willow tree; three leafy branches from the myrtle tree form the hadass and the lulav is one green yet still closed frond coming from the date palm. Collectively the different tree branches and the palm frond are called the lulav. 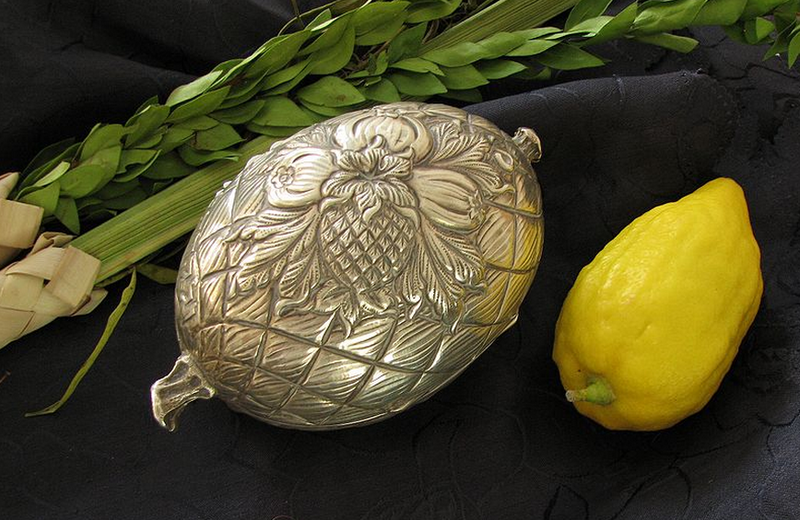 These items represent the different ethnic communities comprising Israel and the special unity and bond they share. Every morning the Torah is read, and people recite the Hallel (Psalms 113-118), the Mussaf (additional prayers) and the Hoshanot (poetical prayers with Hoshana expression). After the daily morning blessing of the Four Kinds (Arba Minim) during the length of the festival these items are held in both hands and waved in six directions – to the right, to the left then brought forward before being waved up, then down and lastly waved behind. On the seventh day, which is the last day of the Sukkōt, is the Great Salvation or the Hoshanah Rabbah. The people circle around the synagogue reading table or the bimah seven times. Holding the Four Kinds in their hands, our Jew brothers offer special prayers wishing for prosperity for the year. Another tradition practiced during the culmination of Sukkōt is beating the ground five times with five willow branches. Sukkot is a centuries old tradition that is carried by the Jewish people close to their hearts. It speaks of faith in a God that they could not see but believed in – the One who promised to deliver their people from slavery and deliver them to the promised land. It is a bittersweet story that transcends forty years and several generations of Israelites. 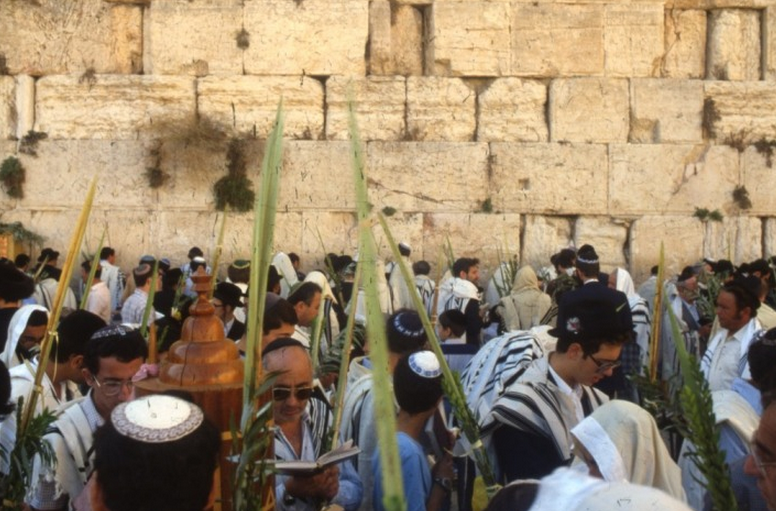 Sukkot is a thread that figures brightly in the tapestry of Judaism. It embodies communal celebration, respect for tradition and personal faith. The prayers are poetic languages and expressions of supplication and celebration. They rejoice as a people because they have triumphed as one, two millennia ago. We don't have to be Jewish to appreciate what they are celebrating. In our own personal lives we have been given days of darkness in order for us to rejoice in the coming of the dawn.